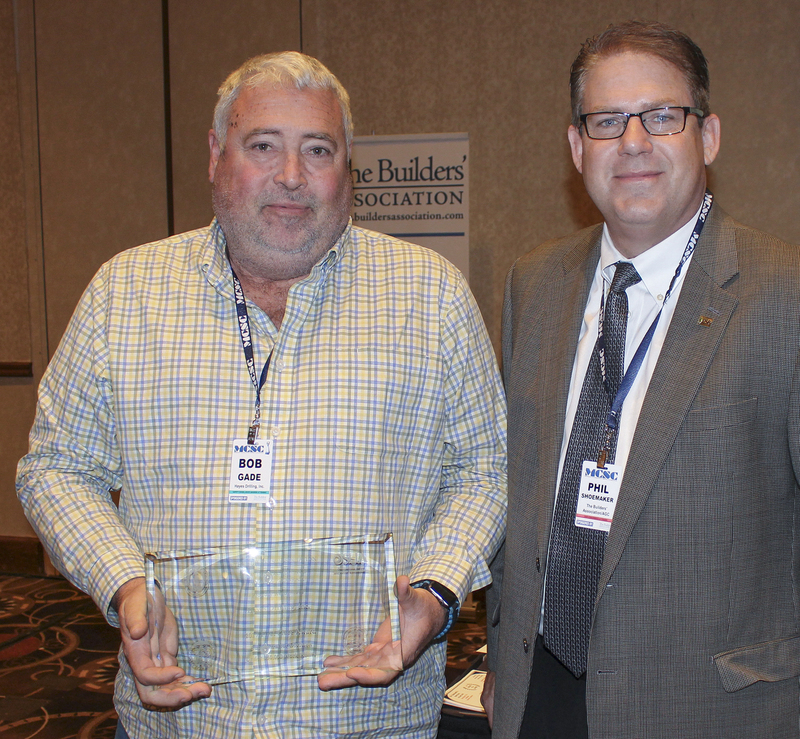 Kansas City, Missouri – Contractor members of The Builders’ Association were honored at The Builders’ Association Safety Excellence Awards Breakfast for their commitment to making the construction workplace safer for all employees in 2017. The event was held on March 15, 2018, and was sponsored by The Builders’ Association, Missouri Division of Labor Standards, Kansas Department of Labor, OSHA Kansas City Area Office, and OSHA Region VII Office. • 1st: Hayes Drilling, Inc.
Mr. Bob Gade of Hayes Drilling, Inc. is presented the 1st Place Award by Phil Shoemaker of the Builder’s Association.